This year I had multiple opportunities to speak to doctoral students and faculty at some of our leading institutions. IIM Rohtak had organized an internal Faculty Development Workshop; IIM Ahmedabad invited me to speak to their new cohort of doctoral students; and we had our own Faculty Development Programme (see picture below) as well as the Conference for Excellence in Research & Education (CERE) at IIM Indore. Through this blog, I want to share the perspective I presented to these groups. First, here’s a quiz question. Who are the five people in the picture below? 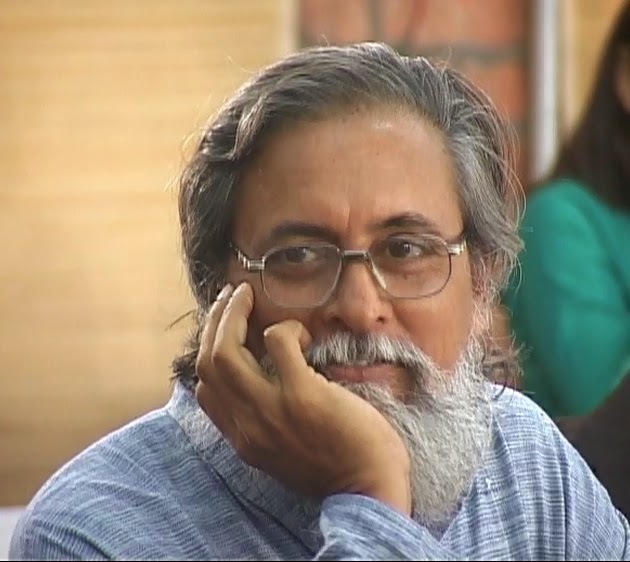 Anil Gupta is arguably the foremost evangelist of grassroot innovators in developing countries. He has spent the last twenty years documenting their innovations and recognizing the innovators. 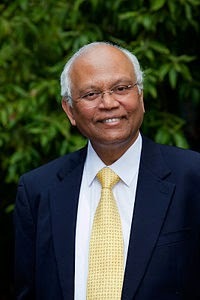 Raghunath Mashelkar has had a distinguished career as a scientist and engineer. He led the National Chemical Laboratory with great distinction and later, as Director General of CSIR, raised national awareness of intellectual property rights. Arogyaswami Paulraj developed the first indigenous sonar for the Indian Navy and later set up the Central Research Laboratory for Bharat Electronics Ltd. 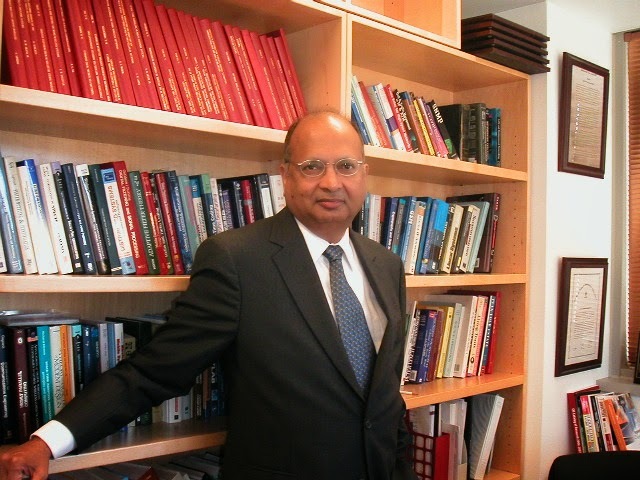 He moved to Stanford after taking early environment from the navy, and is today credited with being one of the inventors of MIMO technology, a critical part of the backbone for 4G wireless systems. 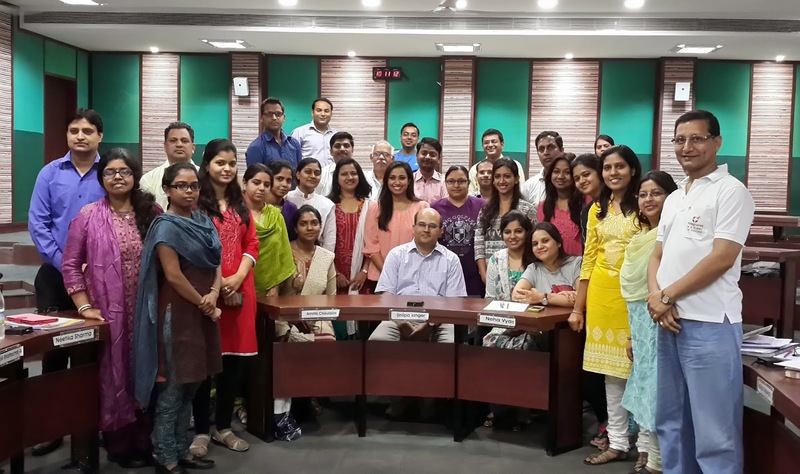 Manindra Agarwal and two of his students at IIT Kanpur developed an algorithm that works in polynomial time to determine whether a number is prime. They thereby solved a problem that had defied mathematicians for years. 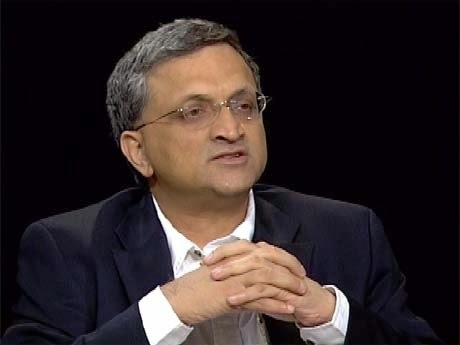 Ramachandra Guha is today India’s leading modern historian apart from being an acclaimed columnist and writer about cricket. 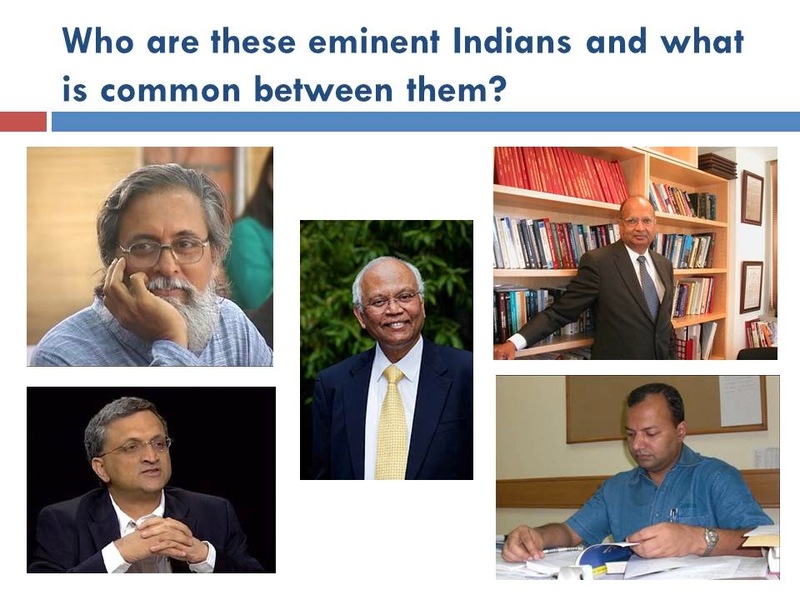 What’s common between Anil Gupta, Mashelkar, Paulraj, Manindra and Ram Guha? For one, of course, they have all been very successful in their chosen fields and received international acclaim. But they have one common characteristic – they all received their PhDs from India, and all of them made their primary intellectual contribution working in India. It is possible to work in India and do world class intellectual work. We saw another example of this in my previous post on Prof. J. Ramachandran. 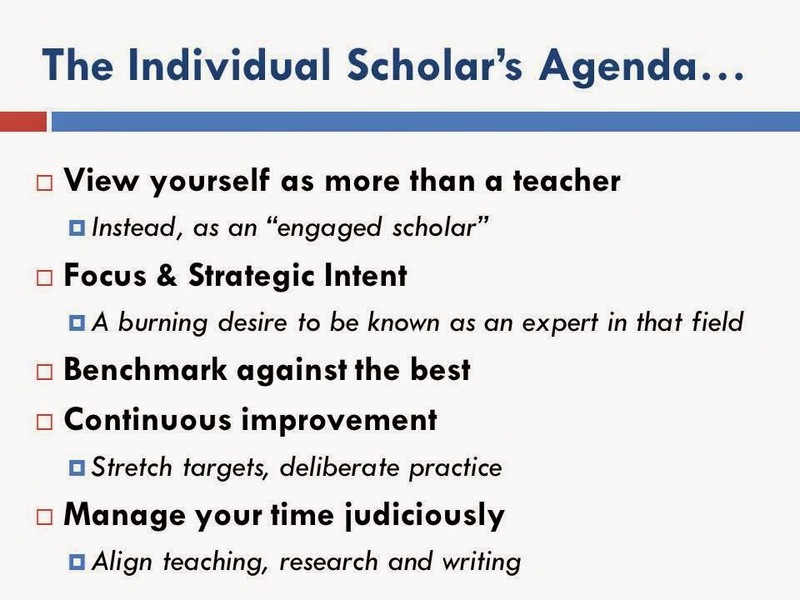 So, what do we need to do if we want to emulate any of these successful scholars? The first important thing is to view oneself as more than a teacher. Ideally, one should see oneself as an engaged scholar who moves seamlessly between creating new knowledge and disseminating it. One has to see research and knowledge creation as core, not as an additional chore. In the management sphere, it is important to straddle conceptual strength, rigour and relevance in any such research one undertakes. 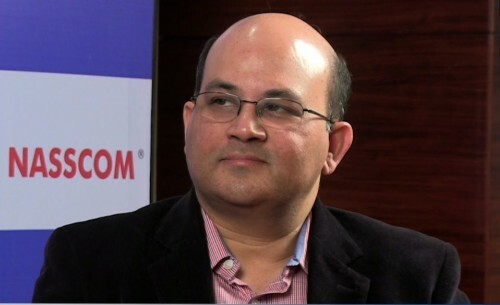 See my earlier post on Prof. J. Ramachandran for some insights into how to do this. The second (and probably equally important to the first) thing is to focus. With the explosion of knowledge today, it is unlikely that one can become an outstanding scholar in multiple areas. Instead, one should choose any one area that has potential impact and dig into that area. Becoming an acclaimed scholar is a marathon and not a sprint, so one should be willing to be in it for at least the next 5 years, probably even more. Along with focus, one should ideally have a strategic intent to be the best scholar in that (sub-) field of choice and be willing to work hard towards that. Aligning one’s teaching to the focus area to the extent possible would help one synergise different activities. Of course, if one has a choice, one should be careful in choosing the institution where one works. 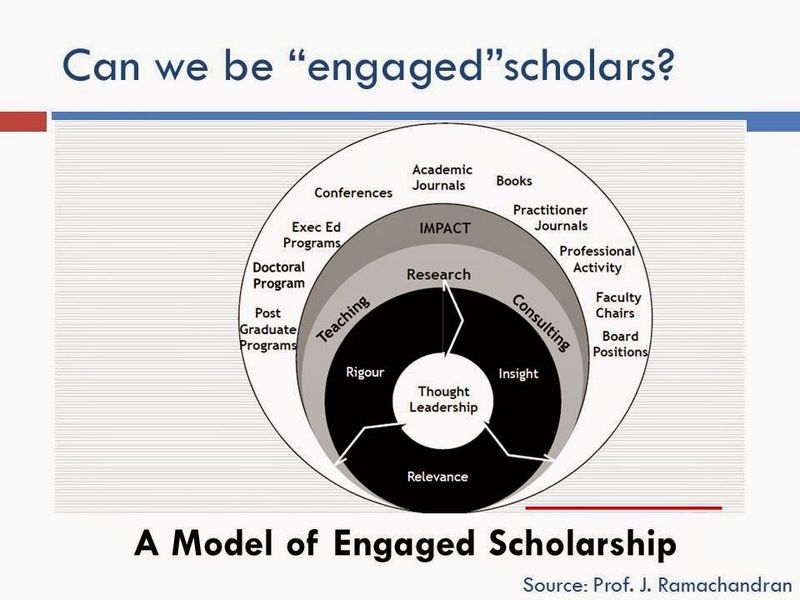 The key question is, “does the institution support the development of engaged scholars?” Does it allow the time and space, and provide the infrastructural as well as intellectual support to promote such development? The third important requirement is to benchmark against the best. Today, Indian institutions may not expect the same quantity and quality of research output as established institutions abroad do. But, to become a well-accepted global scholar, one should take on the same standards as would be expected by a top institution anywhere. For example, a young assistant professor entering an IIM should benchmark herself against the tenure requirements of a top US school. Becoming an acclaimed scholar will involve considerable stretch. While the aspiration or strategic intent to become one might provide the energy and push to get there, the mechanics of reaching there are still important. I have been impressed by the idea of deliberate practice. Research on high performing sportsmen and performers shows that they have put in more than 10,000 hours of practice before they reach the pinnacle of their discipline. But, just spending 10,000 hours is not enough – these 10,000 hours need to be spent on continuous improvement, often driven by a coach or mentor who can identify one’s weaknesses and help one iron them out. This idea of continuous practice can be applied to scholarship as well: take on more difficult research problems, reach out to higher quality publication outlets, and strive to enhance one’s teacher ratings based on feedback. Having a good mentor is invaluable in this process. Unfortunately, there are not enough good mentors around in India, so one might have to reach out to established scholars in other parts of the world. 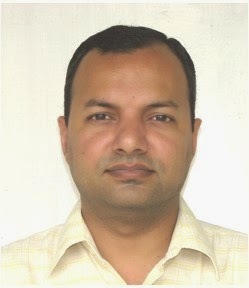 Fortunately, there are many scholars of Indian origin all over the world who are willing to help. Last, but certainly not the least, is good time management. I have already emphasized focus and aligning one’s teaching and research to the extent possible. As a young professor, everything looks interesting, but it is imperative to be focused and avoid getting into activities that distract from good scholarship. If one has a choice, its good to stay away from routine academic administration at least in the formative years. I would suggest doing the minimum required to be a good organizational citizen, but otherwise staying away from tasks that distract one from the main mission of scholarship. As I mentioned earlier, institutional support is important for an individual scholar to make his mark. What should be the institutional agenda to support such individual scholarship? That will be the subject of one of my next posts!